With the approach of summer call it is time to enjoy the outdoors and plan some the outside entertainment be it BBQs or drinks etc. Don’t forget the importance of good outside lighting, for without it things can fall flat as soon as it gets dark. There are a variety of different landscape lighting options available for the patio or garden. With the advent of LED lighting the costs have been dramatically reduced and at the same time LED lights are most effective as they also focus on energy efficiency and better illumination. LED lights come in different forms and thus can be intelligently used throughout the garden and patio to create a visually stunning appeal. For relaxed summers and outdoor entertaining you might want to go for something that will create a relaxed ambience which does not necessarily mean lots of overly bright lights. There is a vast variety of lighting styles and options offered by the manufacturers. We can help you choose the right kind of fixtures best suit your requirements. At Sussex Lighting we provide a wide number of catalogues from different manufacturers. 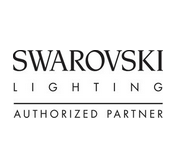 These manufacturers of lighting fixtures are the best in the business and offer a dazzling variety of lighting options for the exterior as well as for interiors. Browse our lighting catalogues to see our full range of outdoor lighting.